My goodness, where has the time gone? It would seem that I cannot move in the Sunshine Coast's might metropolis without seeing banners declaring, 'Back to School'! Still there is more fun to be had before I start sharpening my pencils and polishing my apples and Sunday will see the Batman arrive at 'Awdry Towers'; the Penguin is going to get his first outing against Mike 'The Dark Templar' Reynolds ' Caped Crusader. As a result this week has been all about terrain as I have rushed around cobbling together as much as I could. This has meant that I have finally managed to assembly most of the bits and pieces that I picked up at 'Salute 2015', but Gotham City is going to have a distinctly wooden feel to it as I've not managed to paint any of it! I continue to be amazed at just how much can now be done with MDF and although not to everyone's tastes I thoroughly enjoy putting together these kits. The 'Sarissa Precision' kits that I've been working on have been an absolutely joy to put together, but not to be attempted at breakneck speeds; below is an example of what a lack of due care and fat fingers can result in. By contrast some of the 'Knight Models' MDF kits proved to be really hard work to put together. The assembly is straight forward but the laser cutting is often not deep enough, resulting in damaged pieces and the need for a scalpel to prise many of the pieces off the sprue. Enough was salvaged to amass a decent amount of scatter terrain and Gotham is starting to take shape. It has not all been about MDF and I have a mass of plastic, resin and metal pieces to get done before tomorrow's game. These have been purloined from all manner of recent Kickstarters including Mars Attacks and Studio Miniatures, with Tamiya lamp posts and Malifaux sewer bases adding to the mix. Although not necessarily needed for tomorrow's game, I have also put together some wound markers. 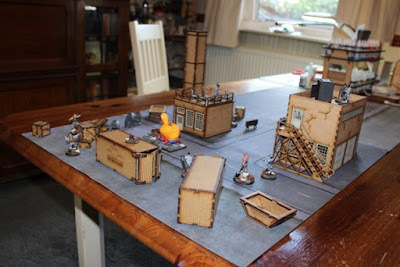 I first saw these on Curt's wonderful 'Analogue Hobbies' blog. Mine came about whilst I was looking for some counters and I picked up these clear plastic 20mm disks from 'Grekwood Miniatures'. A few drops of Tamiya clear red and they were done. Finally, I have also found a use for all those fiddly pieces of waste MDF that are left over having assembled the kits - perfect for filling up my skips! That's it for today, but I hope to have some sort of report after the weekend. 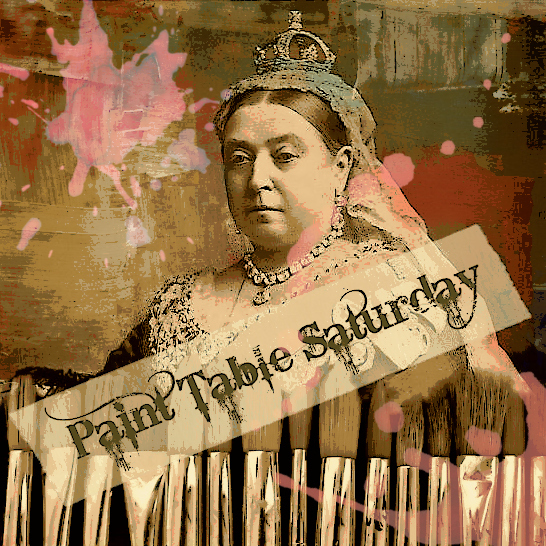 Don't forget to visit the rest of the 'Paint Table Saturday' community here. Great stuff Michael. Painting up some terrain myself this weekend, and yours look suitably impressive. I especially like the Wayne dumpsters. Presumably they're official "Knight Models" ones? Did you pick up their Gotham PD mdf Police Van as well? Thank you Simon, the skimps are indeed Knight Models, but stay away from the dumpster pack, great design but rubbish printing! Not picked up the police van yet, but who knows in the future. Yep, I've too been having to sniff burnt MDF this week - I haven't been using it, I just bought some new bits and they blooming stink! Reminds me of when I bought a lot of miniatures from a man who is a heavy smoker, he packaged the lead in tissue paper that had absorbed the smoke and I had to let all the figures air for a week before I could touch them. Thank you Roy, fortunately I rather enjoy the smell of scorched MDF and, perhaps more fortuitously, so does the Saintly Mrs. Awdry. As for KM's laser-cut stuff - I have recently bought the phone booth kit and only one of the booths has been assembled because the other is cut even shallower than the first for some strange reason - so much so I am basically going to have to cut the parts from the sprue. I had the same problem with the dumpster pack, such a shame because they are lovely designs. Really enjoyed putting together the Sarissa buildings and quite fancy a couple more now. Thanks for this update Michael. The wound markers are delightfully icky but if blood needs to be spilled to save Gotham ... a Batman has to do what a Batman has to do. I am pleased to hear you like Sarissa, I have my eyes on their WW2 radar station kit for a Weird War project. The wound markers certainly came in hand over the weekend! Mr. Sickle turned out to be a real brute. Thank you perhaps a few more to come. Salutesville? Did I miss something? They come in a pack with road signs, which may also prove useful. Sadly, you're not the only one to have issues with the KM MDF. My SWAT van was a bugger to get off the board. It's made me quite wary of buying the MDF kits, and I will only do so if I can inspect the kit first - so no mail order for me. Thank you Kieron, this seems to be a recurring trend for the Knight Models, but I have to say the Sarissa Precision stuff was a dream in comparison. I shall look forward to a Batman (OK a Penguin) AAR after the weekend. And some great and interesting MDF kipple! Report posted for your inspection Sir. I do love the 4Ground stuff, great designs and ready painted to boot - perfect combination. 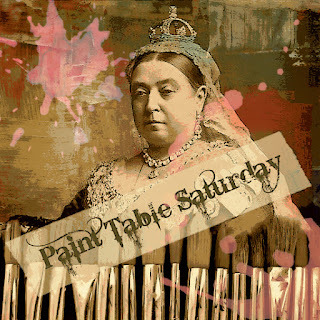 Great stuff...and those wound markers are just inspired! As soon as I saw them, I knew that I had to have a go at producing some myself. Cool terrain, Michael... the duck-tank has found a home. Fat fingers or no, it looks like you put that busted stair-tread right. We goy there in the ed and it was great to see the Duck on the board, much more impressive than a Batmobile! Impressive stuff - those two skips are the business. Thank you Dan, they certainly look better with something in them. Everything looks great! Too many things that I need to do too, like those wound markers! They are really simple, but look great when dry - cheap too! Excellent work there Michael. Love the skip bins and the blood markers are inspired! Thank you Rodger, wish I could credit for the wound markers, but great fun to do nonetheless. Good use of leftover MDF sprue there. I like Sarissa products as well. Haven't used any Knight Models MDF but slightly put off by what I've read here. I can't praise the Sarissa stuff enough, great product unlike the Knight Models laser printing, such a shame because I love their designs. Looking good mate. Here's hoping you enjoy your first game! It was an absolute blast, now need to do some tinkering to the crew and get another day booked in. Glad you are enjoying yourself! It is absolute bliss Jay, thank you. That looks like the start of a very impressive Gotham set Sir Michael! Nice looking stuff despite the construction problems. Lovely wound markers too. Thank you Bob, more was completed in the ice of time. Impressive productivity as always, Michael. So far the only MDF kits I've built are 4Ground - quite happy with their quality too. I love the 4Ground stuff too, super designs and they go together really well. A splendid start with your Gotham City terrain. I'm really looking forward to see your progress with those Sarissa kits. I love their Gaslamp Alley range but haven't found my way to it so far. I've picked up a couple more bits and pieces and all went together really well, just need to get around to painting them now!